Check this guy out! He’s 13 years old and he has Autism, I had the most wonderful opportunity to see him perform last June at the Walk Now For Autism Speaks. He is amazing. Like he will blow your mind. Astonishing. Yeah, people with Autism can do absolutely anything, don’t say otherwise. 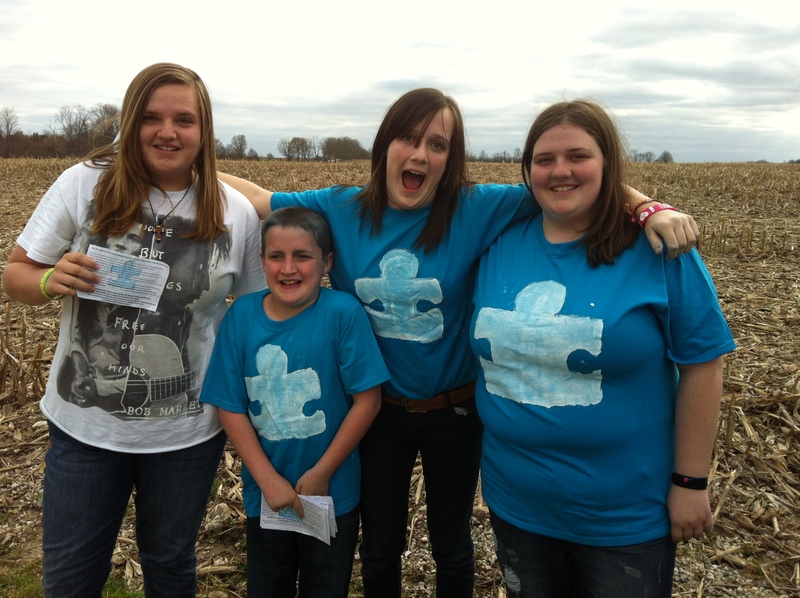 Autism Awareness Month Kick Off! Yesterday was April 1st! That means it was the start of my most favorite month, April! Why you might ask? 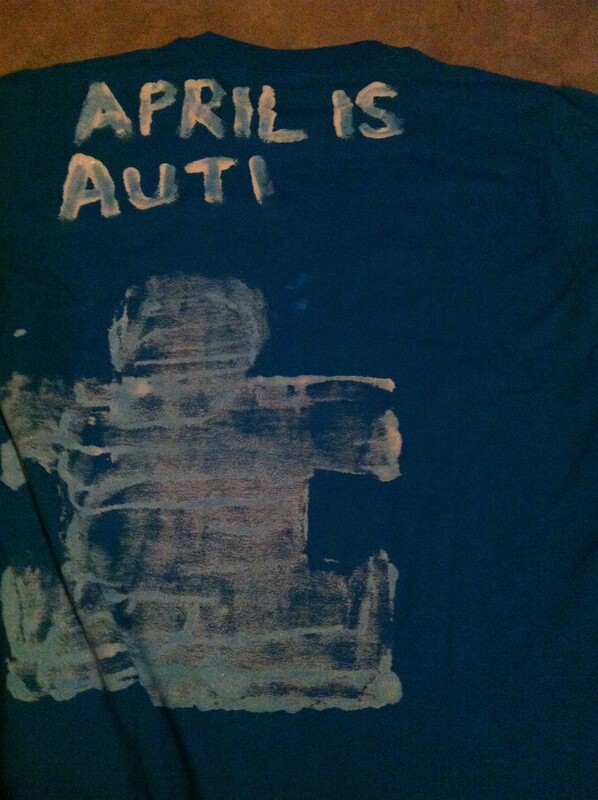 Because… APRIL IS AUTISM AWARENESS MONTH! yay! 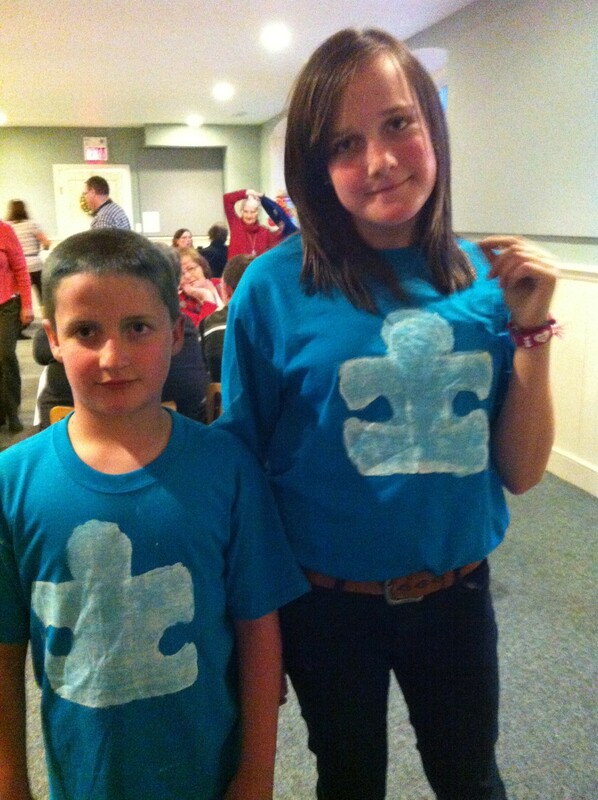 So as a kick off for AAM R, J and I made Autism Awareness t-shirts and made fact sheets and brought them to a church dinner on the Saturday night! We went and talked to each table about AAM and handed out our fact sheets, we got a very good response from people. but who wouldn’t expect that from Barrie Hill! Oh, and of course J did his usual April hairdo! 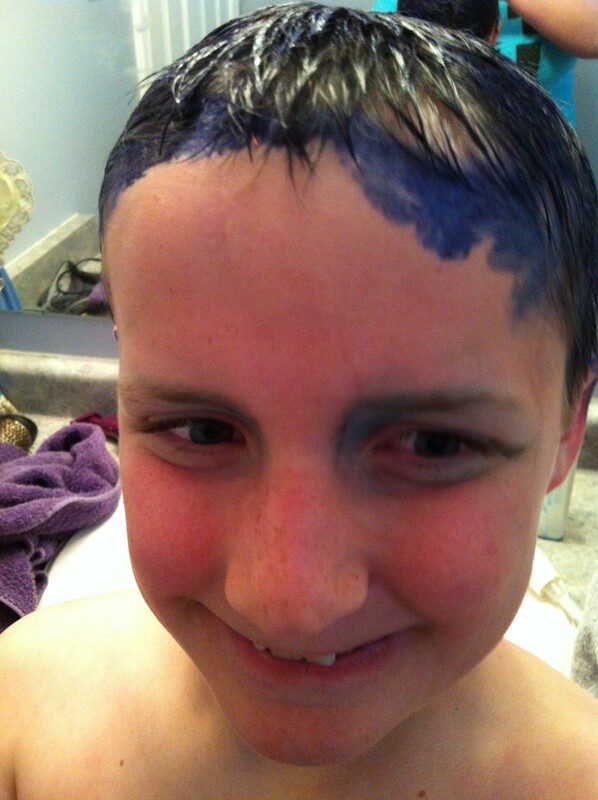 Blue Hair! 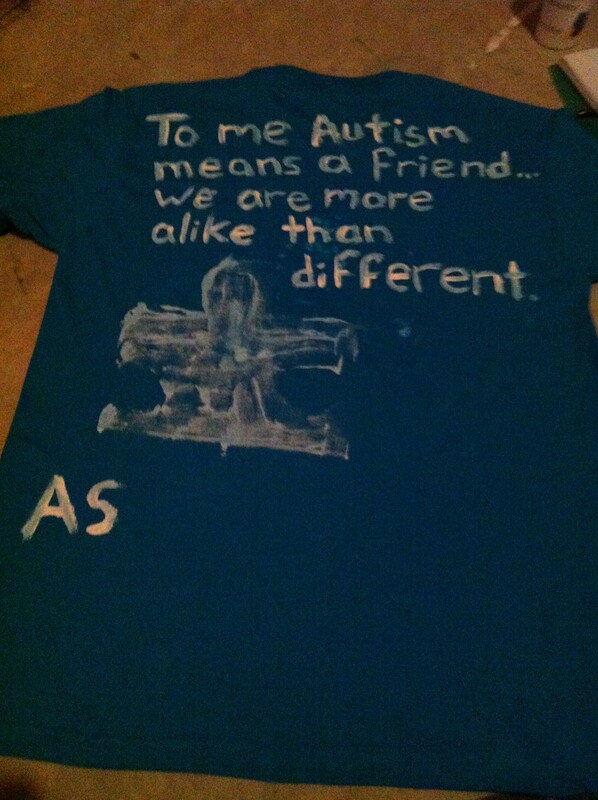 The back of R's shirt "To me Autism means a friend, we are more alike than different"
The back of J's shirt in progress, it ended up saying "April is Autism Awareness Month" and at the bottom "ask me about it"
J: "April is Autism Awareness Month Ask me about it"
R: "To me Autism means a friend.. we are more alike than different! Ask me about it!" 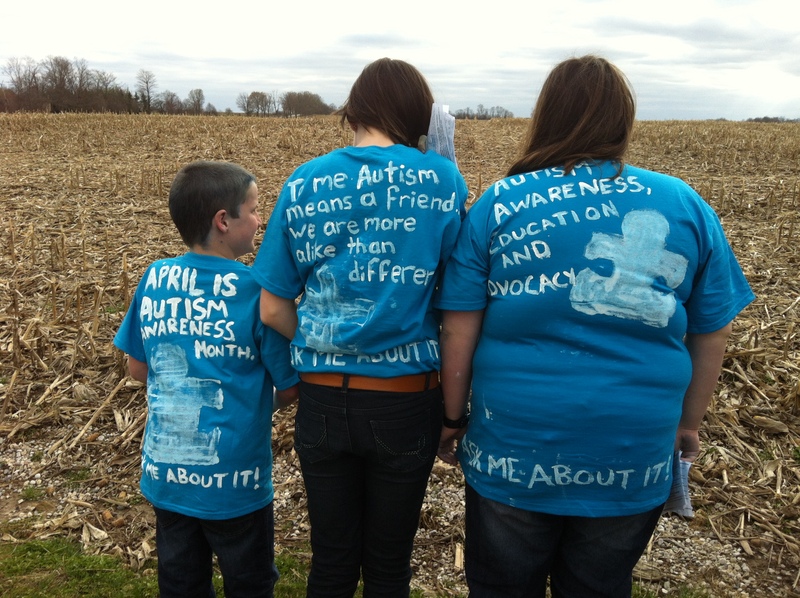 Me: "Autism Awareness, Education and Advocacy Ask me about it!"